Our first meeting of 2019 was a time to get organized – mainly to hear from and selected nonprofits we will sew for this year and also to hear from committee chairs so members could volunteer to join one or more committees. 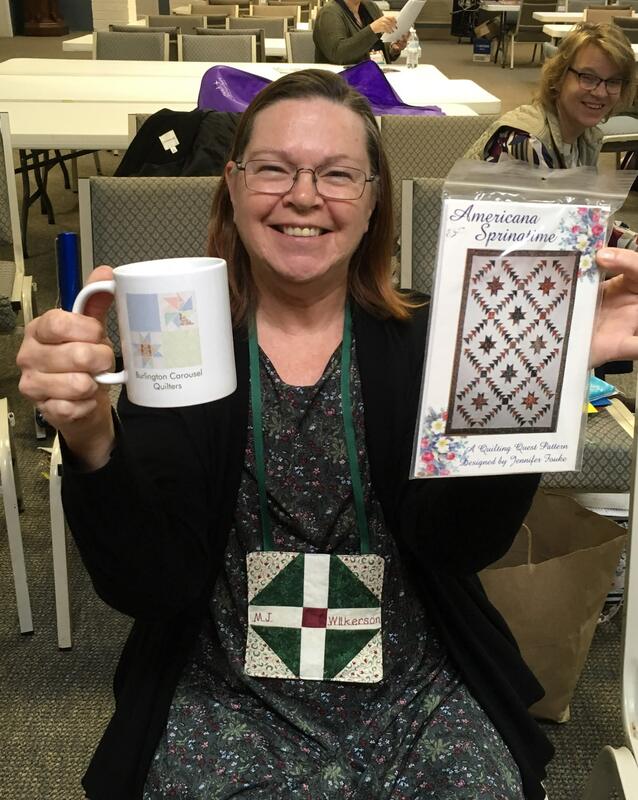 Debbie opened the meeting by welcoming new member Janet who we met when she was assisting at the barn quilt painting workshop in December. Ryan’s Cases for Smiles – we will sew pillowcases for hospitalized children. Catherine who is a local representative and spoke to us ended up staying for the rest of the meeting and joining the guild. We are so glad to have her. 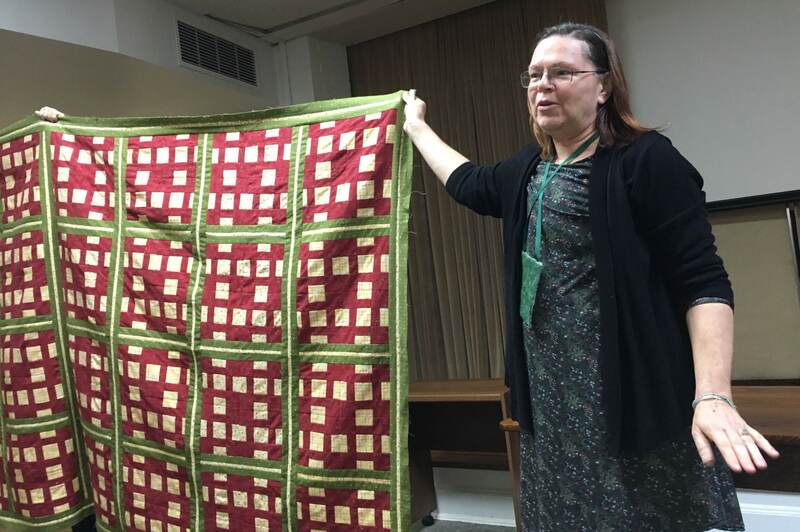 Crossroads – we will sew quilts for children who have experienced sexual abuse. Carolina Adoption Services – we will continue to create small ‘welcome home quilts’ for children adopted from other countries. Alamance House – we will sew walker bags for residents. Terri-Lynne’s father lives there, and she has been purchasing dish towel sets to make the bags and sewing with residents to make them, but apparently they are so popular, everyone wants one, so we will try to mass produce them. Instead of using towels, we may try this walker tote bag made with fabric from our stash. After hearing from nonprofits, each guild committee chair spoke briefly about her committee’s work, and guild members had a chance to volunteer to serve on one or more committees. Miranda talked about upcoming programs and workshops and explained the process for workshops. She has set a deadline by which members need to have signed up and paid, after which she will have time to open it up to other guilds if there is still space available. If there is not sufficient participation, the workshop will be canceled (must give presenter 30 days notice) and payment will be returned to members who signed up. 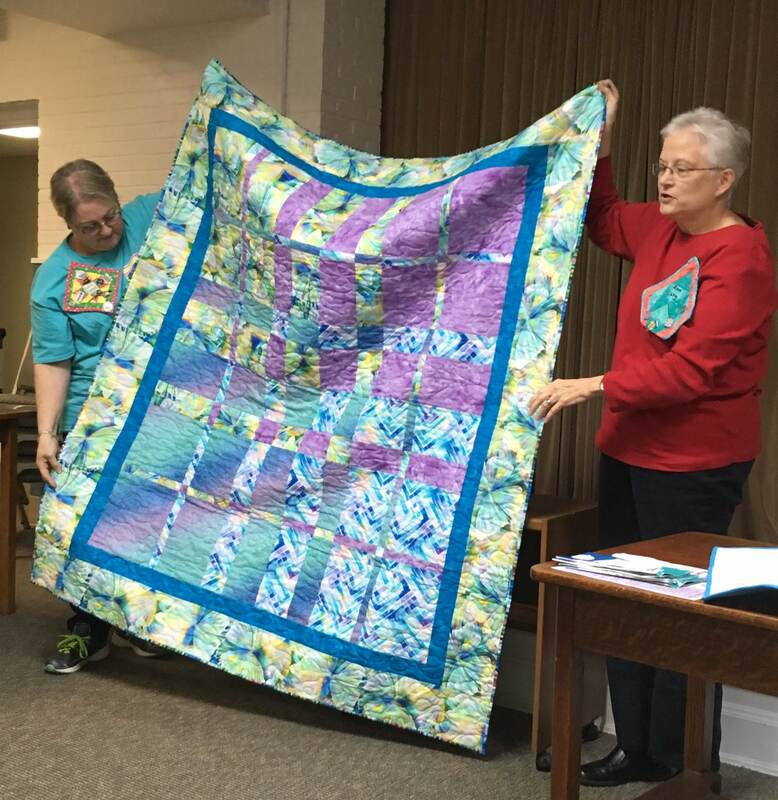 Miranda also encouraged everyone to participate in the 2019 mystery quilt. Clues will be shared with members each month so that the quilt can be finished by the end of the year. 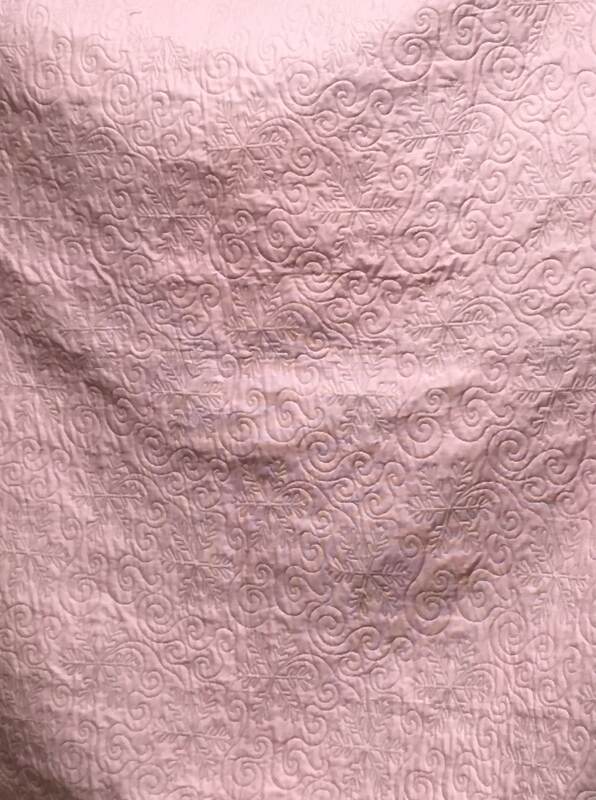 The size of quilt you choose to make determines the number of blocks you need to make each month. As expected Debbie announced Enola as the winner of the 2018 UFO challenge, but as show and tell began, it was clear the 2010 competition is on. Ann L. shared three UFOs, and it’s only January! 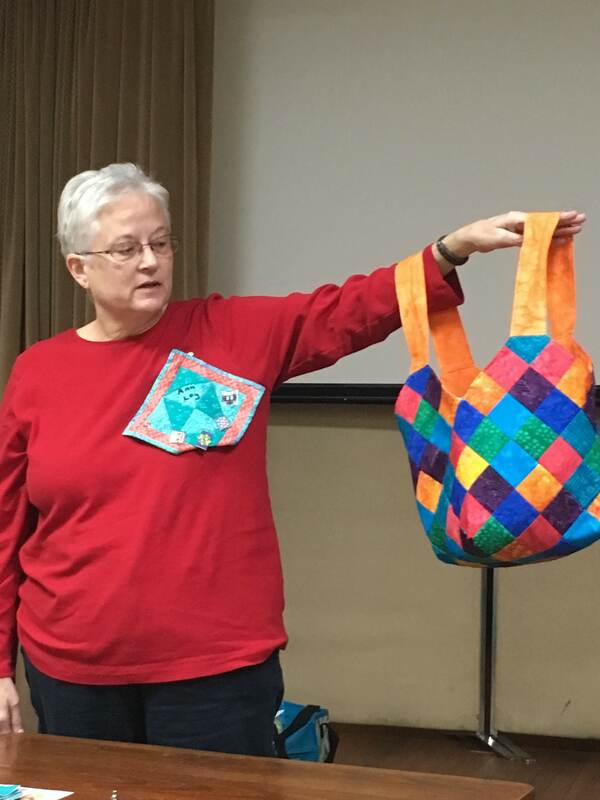 Ann began her three projects at an annual quilting retreat she attends in Colorado. 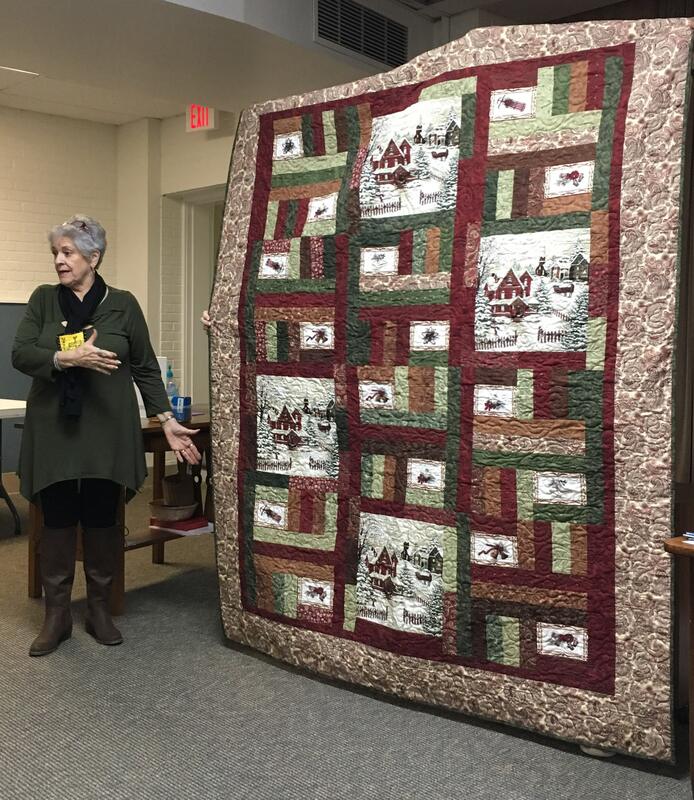 Maxine shared a lovely quilt displaying winter scenes she created by adding patchwork around panel components. 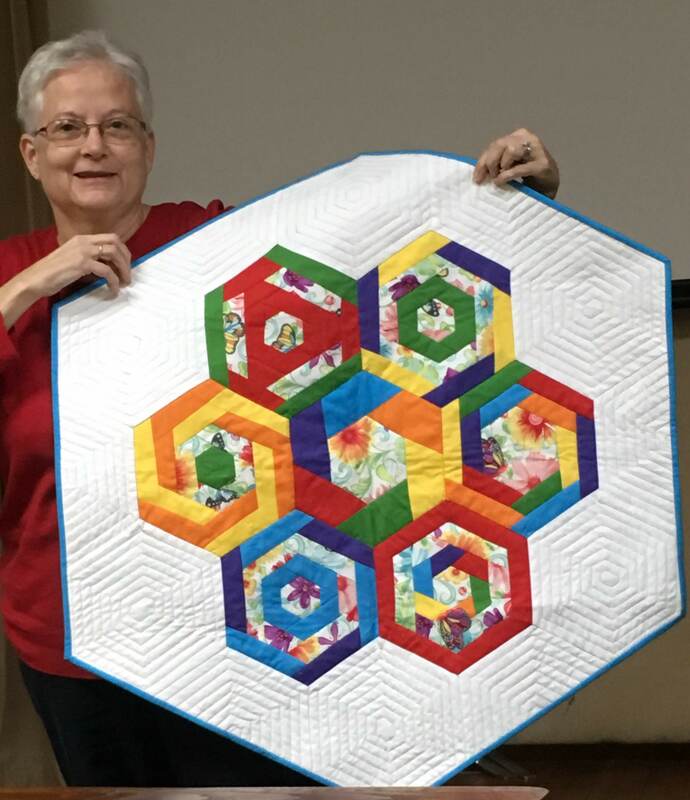 Gail did the machine quilting with a snowflake design.